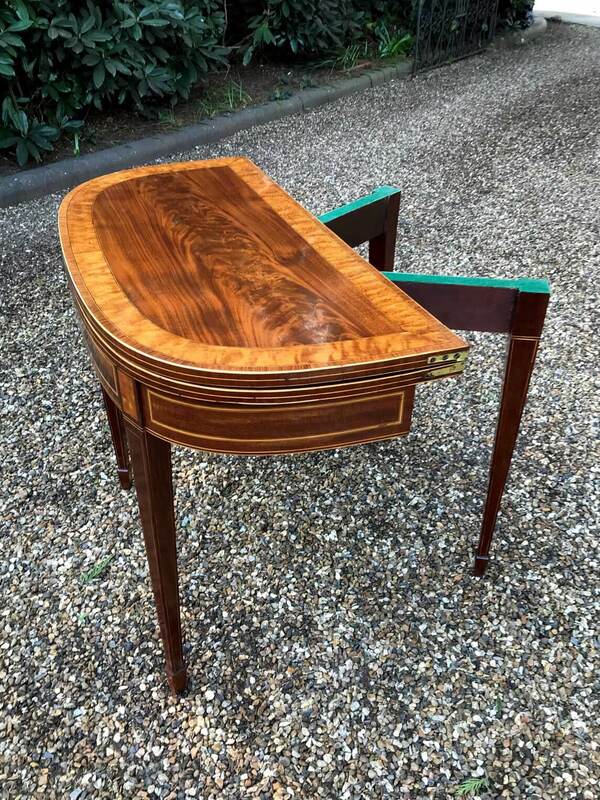 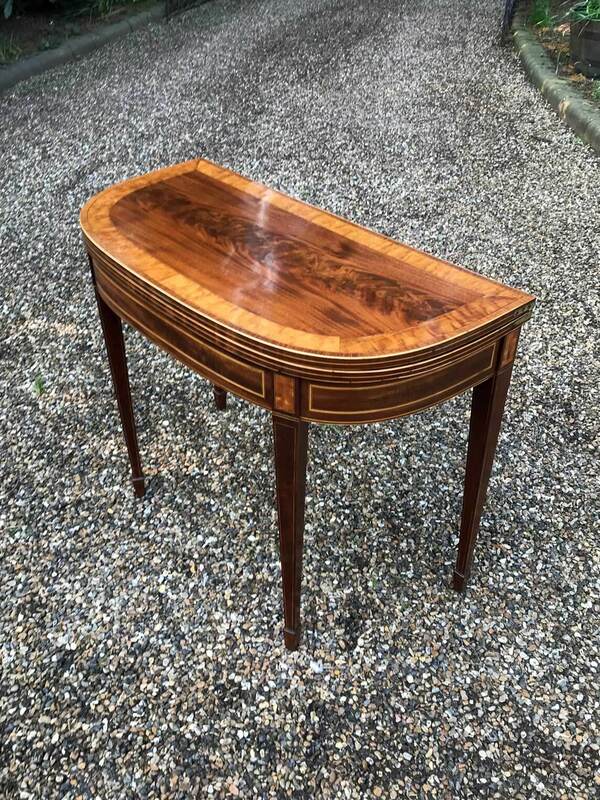 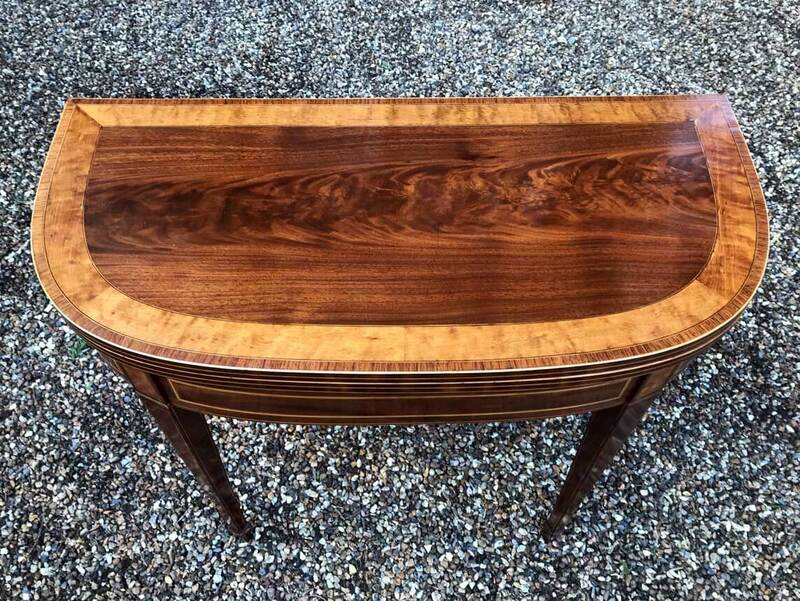 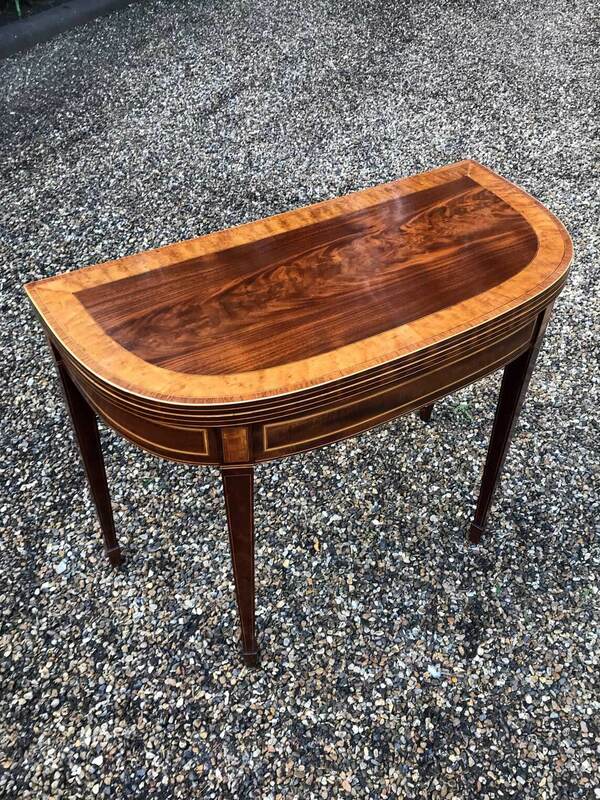 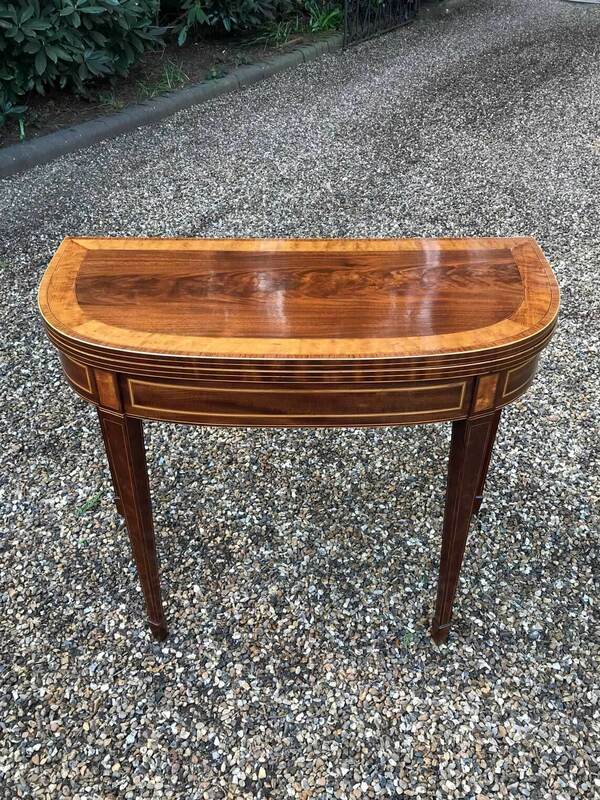 A fine quality George III mahogany card table with satinwood cross-banding on square tapering legs. 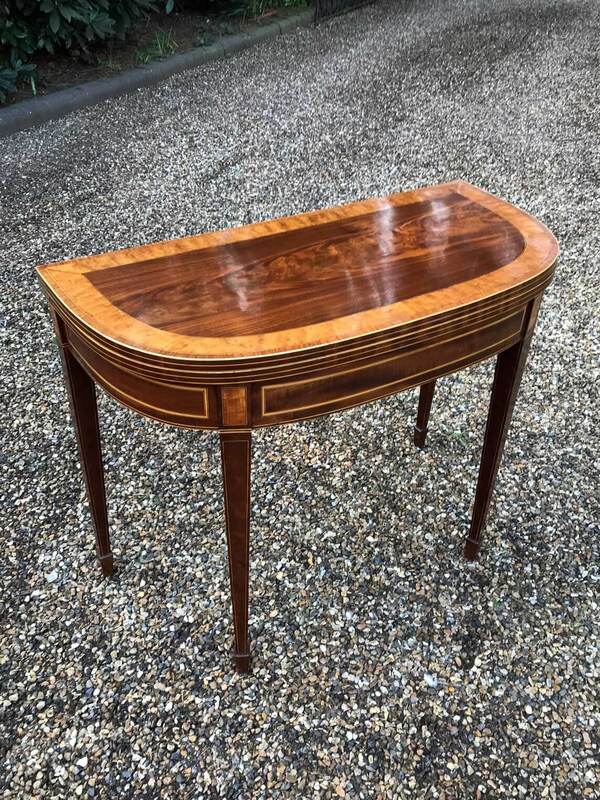 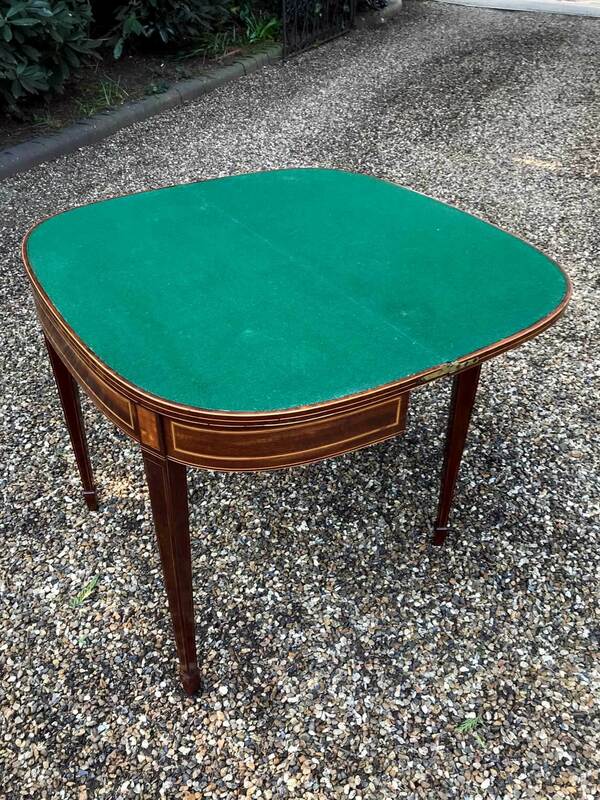 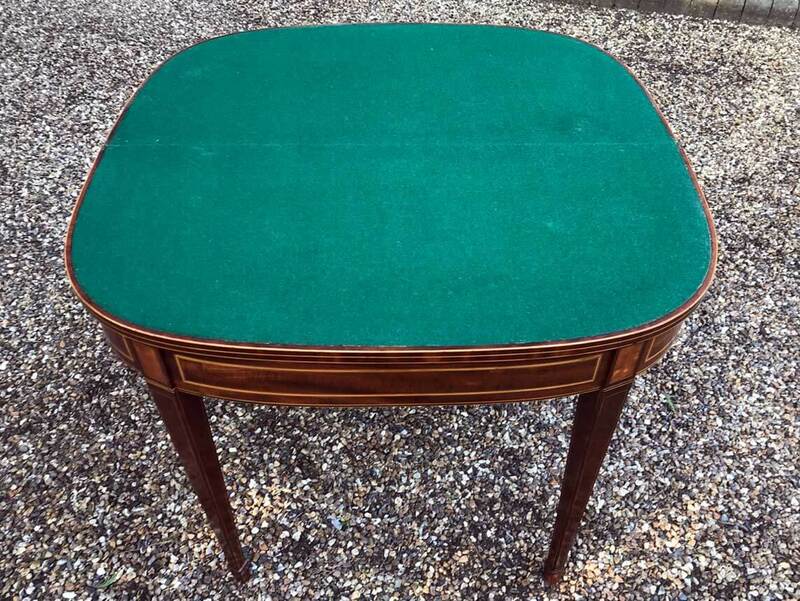 The solid mahogany Card Table top opens to an oval green baize, supported by the adjustable rear legs below which is a frieze boxwood strung with satinwood banding. 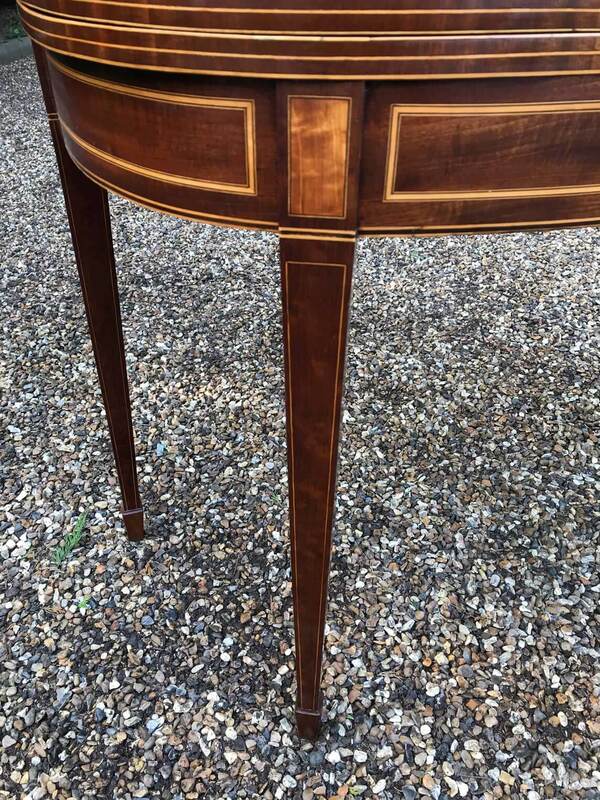 Above each finely tapered leg is a marquetry satinwood inlay.